An exercise in stylish simplicity, the lightweight Marston briefcase is one of our best-selling bags. Now in three great sizes. A simple, single-compartment zip-top briefcase, the Marston has been hugely popular with our customers since its creation. The Marston appeals to anyone looking for a lightweight but hard-wearing leather briefcase and embodies the understated sophistication TUSTING is known for. We have upgraded the interior which now includes a fully padded laptop pocket and 'plus'-sized phone and charger pockets. We've added a new smaller size (perfect for 13" laptops) to join the original (perfect for 15" machines) and an Extra Large size for those with lots to carry (and a 17" laptop). Our signature sundance floodlight leather complements the strong, sleek profile of our Marston briefcase. Fans of this supple, coffee-coloured brief often tell us they can’t imagine life without it. Practical, beautiful, unmistakably TUSTING. There was no way we could leave out an Aztec Crazyhorse edition of our beautiful Marston briefcase. With its appealing distressed look, this strong, slimline case has real character and is ideal for protecting all your most important work essentials. Now here’s a work briefcase that means business. Our slim Marston brief in full-grain black bridle leather pulls its weight in the style stakes while protecting your most important work assets. Ideally sized for your laptop and papers, this smart case will be your new favourite companion. 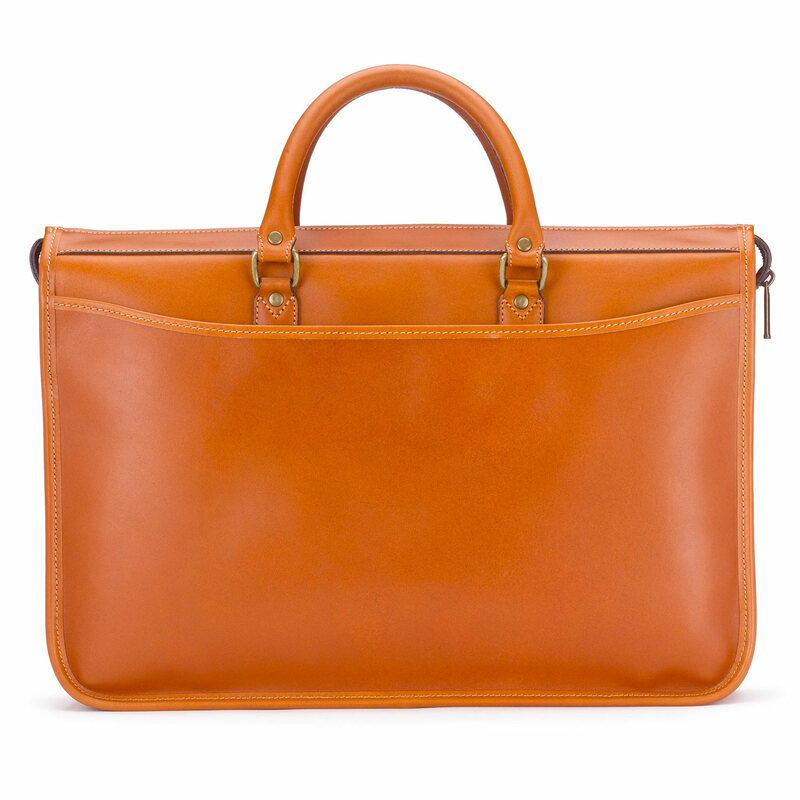 As rich as butterscotch, the caramel bridle leather edition of our slimline Marston briefcase is a pleasure to behold. Marrying practicality with visual and tactile appeal, this stunning, supple work case draws compliments wherever it goes, ageing beautifully the more it serves. The Marston briefcase was initially designed in response to demand from our discerning Japanese customers, who were looking for a smaller, more streamlined look. We created a super petite case to satisfy demand, then up-sized the bag to accommodate the preferences of our western markets. The taste for slimmer briefs has reached our global markets, so the Marston is now available in two sizes to all of our customers. Named after the Bedfordshire village of Marston Moretaine, home to the famous brickworks. Every TUSTING bag is hand-crafted by experts in our Lavendon workshop, which gives us a lot of flexibility in the final results. 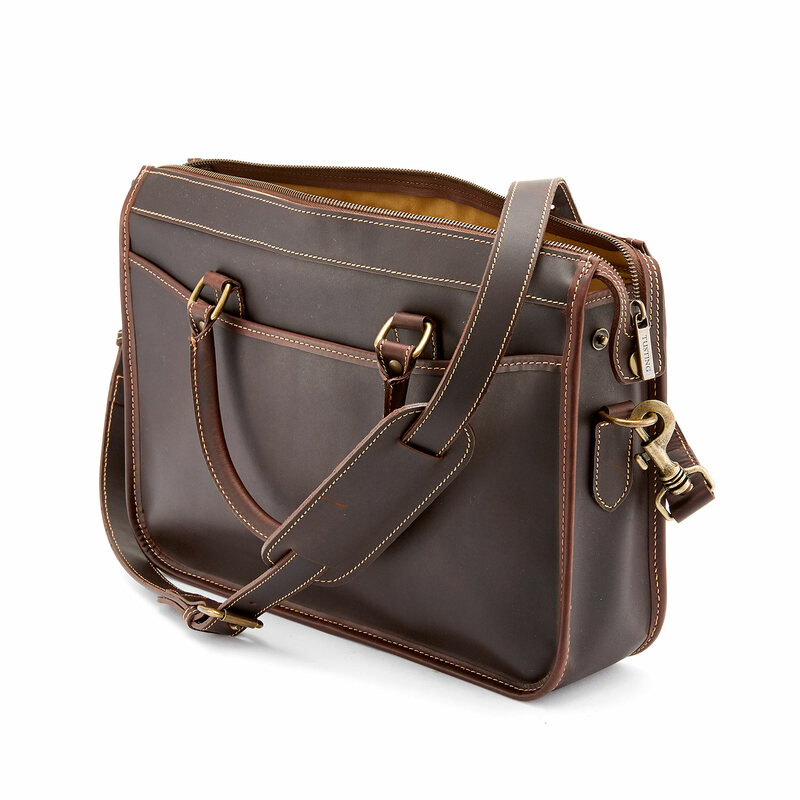 A Marston made from traditional English Bridle leather is a popular upgrade choice. 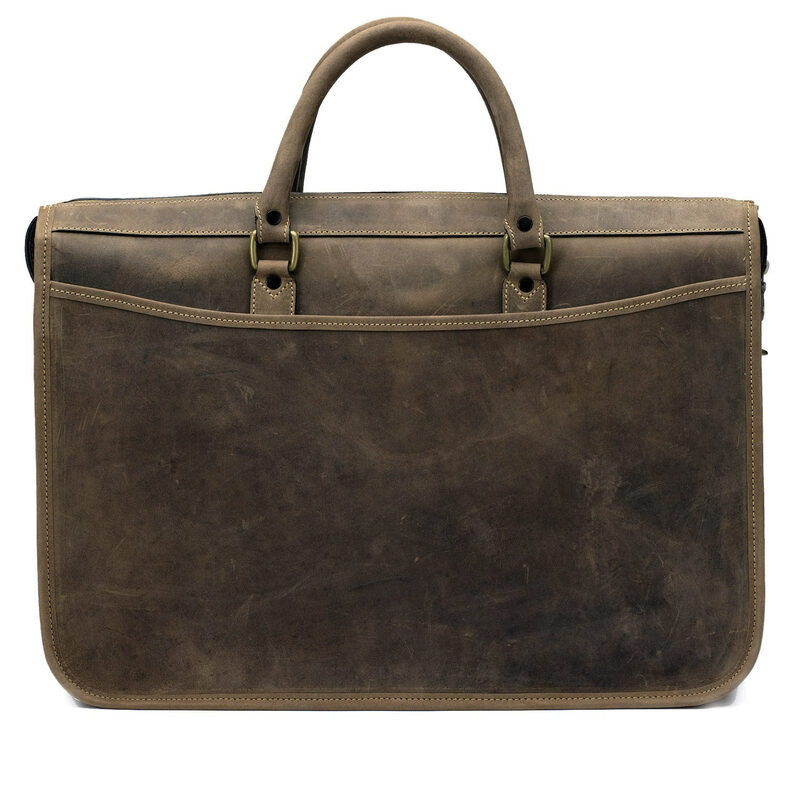 To find out how we can customise the Marston briefcase to suit your individual requirements, please contact us.